Our last post discussed the appliances that consume the most electricity. From this post we can see which appliances use the most electricity and where we can plan on reducing our energy usage by focusing on the larger highest consuming appliances. Turning the lights off and converting to fluorescent lights is an excellent way of reducing our energy usage. So running any appliance that has a motor, such as the air conditioner, the dryer and water pump less are also great ways of reducing energy usage. We use energy in other ways as well that may not involve electricity. If you have a water heater that runs on natural gas, you are using energy. Heating your home with natural gas as well consumes a lot of energy as do pool heaters that are gas consumers. Our cars and transportation are another area that most consumers use a lot of energy and the higher the price goes for gasoline, the more motivation there is to control how much energy we use. Unplug devices if they are not in use. 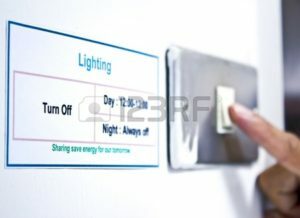 All electronics consume energy even if they are turned off. Turn down your temperature in the winter and up in the summer to reduce heating and air conditioning costs. Use your appliances in off peak hours such as cooking, drying your clothes, setting your fridge temperature a little higher, wash full loads in the washing machine and the dishwasher, and keep them all in optimal operating condition. While this may not be a complete list of reducing energy usage, these will cover the majority for many consumers. Depending on your lifestyle, there may be additional methods and approaches to reducing energy usage. Let us know by leaving comments and we will add them to our list. Our readers will appreciate it. Upgrade your furnace to a maximum efficiency furnace. There are many more things that will cost increasing amounts of money to put into place. If you are building a new home there are an entire series of things to consider in terms of upgrades that can improve the efficiency of the home in terms if energy use. There is a law of diminishing returns. The point at which the investment in energy reducing activity is going to cost more than the potential savings over some number of years. The number of years will be different for every home owner and the amount they are willing to spend. For the writer this number is around seven or eight years. In other words if I cannot recover my investment in that time, then I am not prepared to spend the money to upgrade. This should be constantly reassessed since prices are constantly changing including the cost of energy as well as the cost of the solutions you may be considering. Reducing energy usage is an ongoing activity and should be constantly monitored.